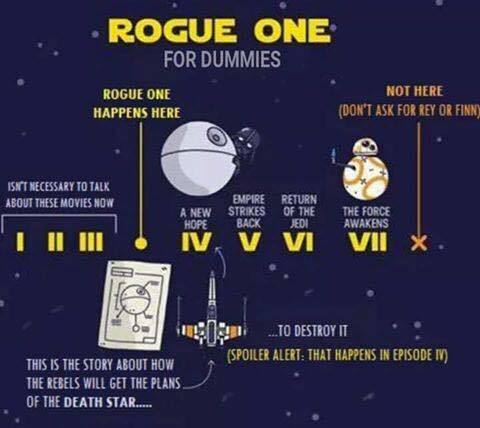 Rogue One For Dummies. Context for Rogue One, in case you didn't know . Wallpaper and background images in the Star Wars club tagged: photo rogue one timeline era. This Star Wars fan art might contain anime, comic book, manga, and cartoon.